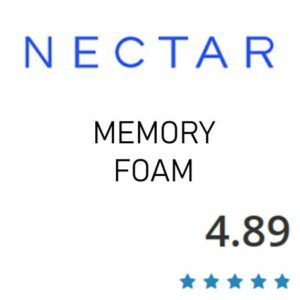 Overall, NECTAR is one of the best gel memory foam mattress we have reviewed. 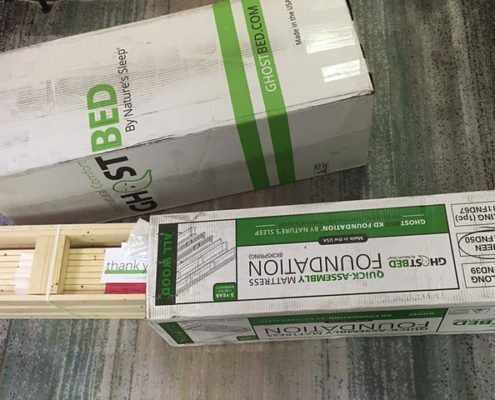 The GhostBed appears to be similar to many of the bed-in-a-box mattresses we have reviewed or viewed online. However, this mattress has some features that make it stand apart compared to some of the competition. Notably, 3.5″ of premium foams on the top (several have just 3″) as well as denser foam core, making it able to support heavier people. 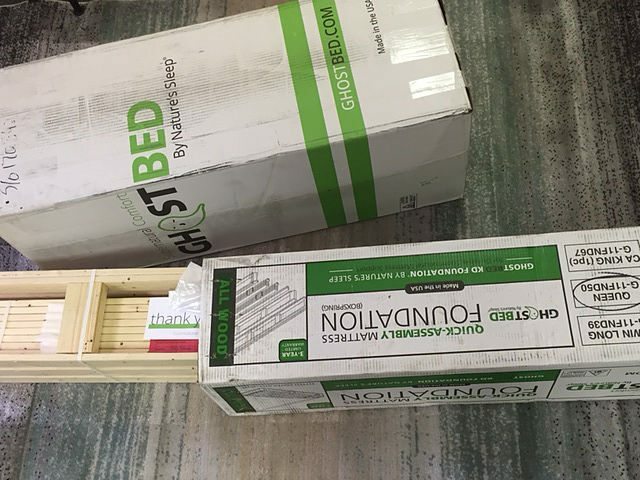 Also Ghostbed features a 20 year warranty (10 years longer then the average). 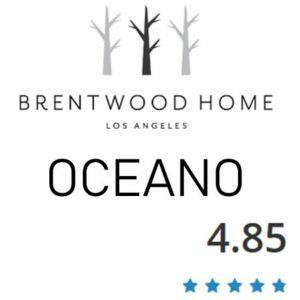 Please see our comprehensive review below. We strive to hit on several parameters to give you the best information to help you make your choice. Like to sleep cool – Foam mattresses can sleep warm. However, the design of the Ghostbed with latex on top and gel memory foam on bottom helps it disperse heat efficiently. I did not experiece excessive heat at all. Sleep in multiple positions – This mattress is a good medium feel with good body conformance. Sleeping on your side, back or stomach Ghostbed will conform to your body very well. 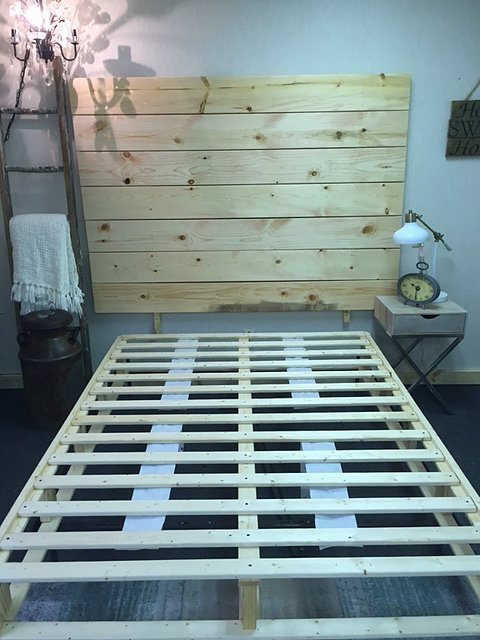 Are a heavier sleeper – When compared to a 10″ mattress the Ghostbed is a good option if you are a heavier sleeper. The extra inch of foam and a more dense core then some brands makes this a good option for heavier sleepers as well. Like the combo of bounce and body conformance – With the latex layer on top Ghostbed maintains good bounce which makes it easier to adjust positions and not feel stuck. 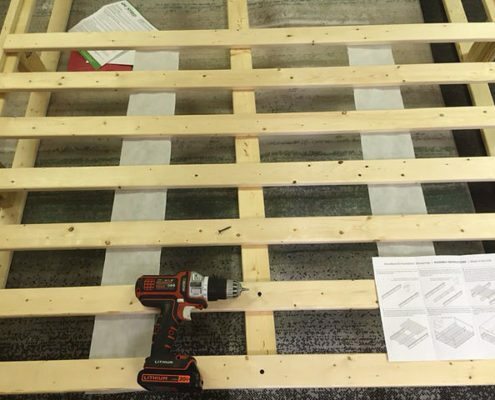 Want a innerspring mattress – It can take time to get used to a foam mattress, if you already know you don’t like all foam mattresses you should stick with a coiled mattress. The Ghostbed is a comfortable mattress but it won’t probably transform you from a spring fan to a foam fan. Want a tall extra thick mattress set – Although Ghostbed is thicker then some bed in a box options it is not going to be super thick and tall like some mattresses you will find online and in stores like a pillowtop. For me 11″-12″ is perfect, you won’t have issues finding sheets to fit it either. 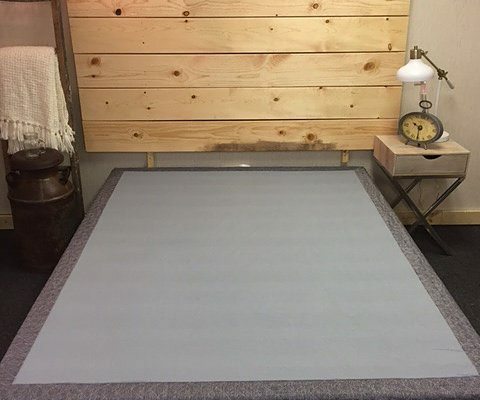 1st Layer: Comfort & Temperature Contol – The top layer consists of one and a half inches, three and a half pounds density of continuous aerated latex foam that is made to be responsive, and does not retain body heat. 2nd Layer: Pressure Relief, Support & Additional Heat Dispersion – The middle layer consists of 2″, 4 pound density gel memory foam that uses larger cells to make it more reactive to the body for cooler sleep. 3rd Layer: Core Foundation – The bottom layer consists of 7.5″ of 2.0 pcf high density base layer for increased support and longevity. 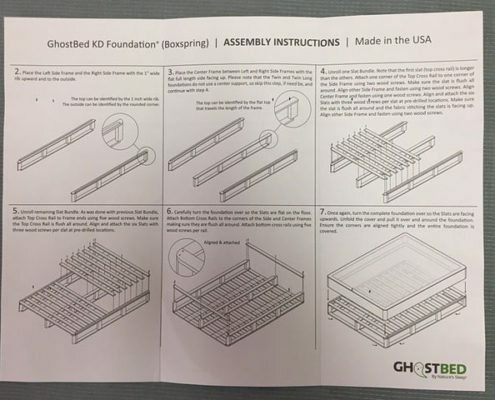 The GhostBed is one of the few brands that offers a shippable wood foundation. 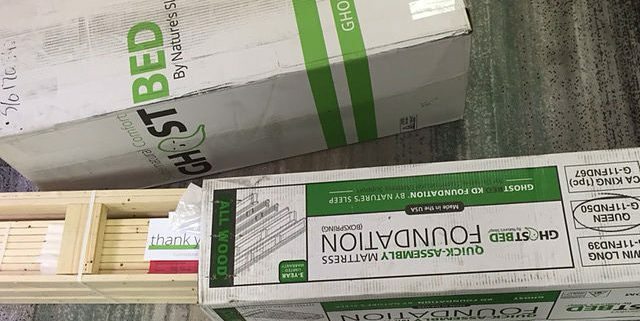 Additionally, it is a heavy duty wood foundation that is heavier than the wood foundations we typically have at our stores, although we offer steel as well this foundation is worth adding to your order strictly for the conveinence if you need a foundation as well. Assembly looks daunting initially, however it went pretty quickly. About 25-30 minutes. I would strongly recommend having a drill, it will take much longer with a screwdriver. The quality of the foundation is nice. The cover slips over much like a fitted sheet and with a snug fit it looks nice. The GhostBed is about a 6.5 out of 10 on the firmness scale. With the top latex layers fast response it is easy to adjust sleeping positions. You might feel its a tad firm to start. 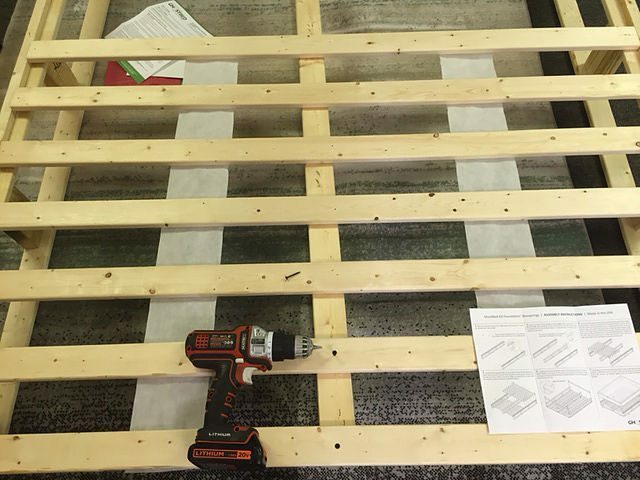 The materials used in the mattress are of a good quality, once you’re laying down for a bit the Gel memory foam layer reacts a bit more and it feels softer then you might think right at your first lay on the mattress. ​I really liked the feel of the Ghost Bed, its the firmness I like and I really enjoyed how responsive the foam is if I were to shift positions. The mattress had good body contouring without being too soft. You don’t have that “stuck” feeling I’ve experienced with some memory foam beds and that’s the point of having the latex on the top layer. Over the years in my stores people are always drawn to the thick, impressive looking mattresses. Generally, taller the better as far as the customers mind goes. 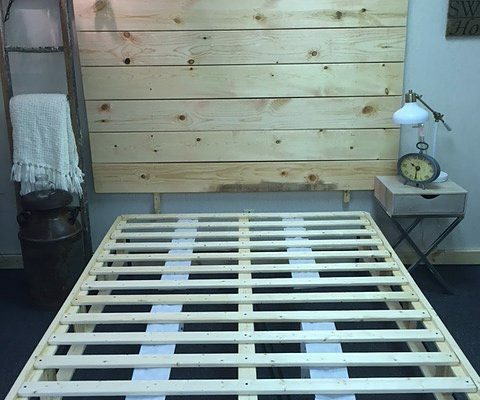 At 11″ thick this mattress is an inch thicker than many of the other bed in a box mattresses. An inch doesn’t sound like it would make much of a difference, however when you are talking additional premium foam you tend to get better body conformance and less motion transfer. The GhostBed is about a 7 out of 10 on the firmness scale. With the top latex layers fast response it is easy to adjust sleeping positions. My first lay on the mattress I thought it was a little firm, but like Ross said, it seemed to feel softer after the gel memory foam reacted. That is a good indication that they use the high density memory foam they claim to. Typically better gel memory foam takes more time to “sink in”. I am also lighter at 125lbs. The top latex layer supports your lower back very well and bounces back quickly if you adjust positions. I’m always worried about motion transfer since Ross moves around a lot. Like most foam beds this has very little motion transfer. 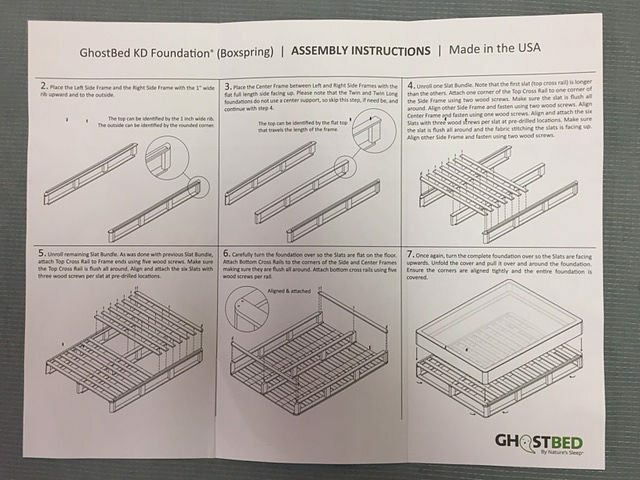 The GhostBed had no problems with sleeping hot. 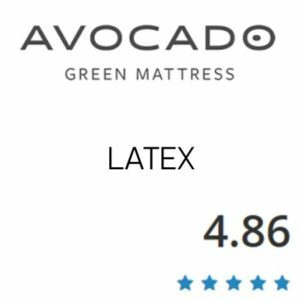 The design with 1.5″ of aerated latex paired with 2″ of Cool Gel Memory Foam underneith helps this mattress with heat dispersion. You can really tell if a mattress keeps heat in when you get up in the middle of the night to use the bathroom or something and come back to lay in the same spot. If you’re mattress is trapping heat you will noticably feel the heat after laying back down. It is normal to feel some warmth on even the best mattress as they are not air conditioned and our bodies are warm, but it should not feel like a heat pad. I never experienced any excessive heat in those instances where I left the mattress mid night. Discounts – Use MATTRESSINSDIERS50 to receieve $50 OFF when checking out. The GhostBed is owned by Nature’s Sleep. They have been making mattresses for 15 years coupled with a very impressive history with 100 years and 5 generations of the Werner family members inventing and manufacturing quality branded products. There’s a good chance you have a Werner ladder in your garage. We will have a blog post featuring their CEO posted soon. 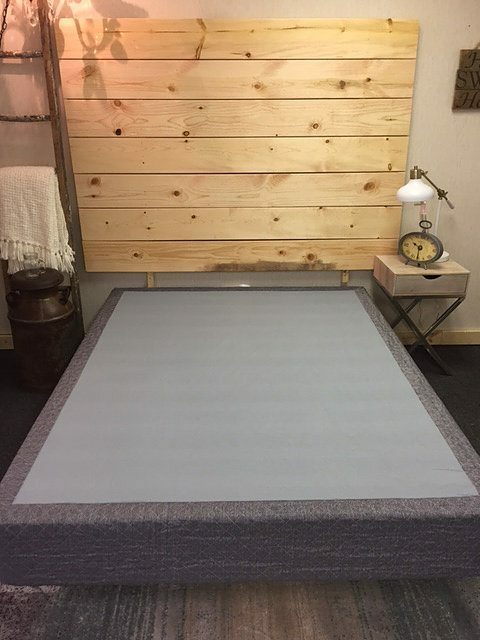 Prefers a medium (a little firmer for lighter sleepers) mattress, for me the mattress came in at a 6.5 out of 10 on the firmness scale (10 being the most firm) the GhostBed has a medium to slightly firm feel especially if you are a lighter weight. Want’s good body conformance paired with a quick response and bounce. The layering with latex on the top paired with the gel memory foam creates a surface that’s easy to move around on but still has great body conformance to help relieve pressure points and keep your spine aligned. Want’s great overall body support. I believe this mattress will perform well for light to heavy sleepers.